In 1988, the Russian Choreographer and former soloist of the Bolshoi Ballet, Victor Smirnov-Golovanov, founded the Moscow City Ballet. The Company’s success, both at home and abroad, makes it one of Russia’s most extensively touring ballet companies. Considering classical ballet to be an important part of the national heritage of Russia, Victor Smirnov-Golovanov aims to bring it to as wide a public as possible, especially the new generation of ballet-going youngsters. 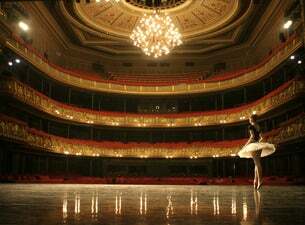 Moscow City Ballet is renowned for the perfection of its corps de ballet in the best traditions of the Russian school of classical ballet.